At the 2016 Mobile World Congress, Vodafone signed multiple deals to put M-Pesa’s payment technology in the hands of hundreds of millions of users. Vodafone through Vodafone Sales and Services Ltd (VSSL) owns proprietary rights to the M-Pesa platform and earns service fees accrued from the use of the mobile money transfer solution. Some of the deals signed included one with PayPal where PayPal account holders will soon send money directly to M-Pesa account holders across the world. The other partnership announced was with TransferTo, a Singapore based remittance firm to provide M-Pesa transfers. TransferTo has a presence in 100 countries and partnerships with over 1,000 financial institutions. Mastercard through its subsidiary HomeSend announced a partnership with Vodafone to launch a remittance services into five new markets including Democratic Republic of Congo, Ghana, Lesotho, Mozambique and Albania powered by M-Pesa. Vodafone recently announced M-pesa had 25 million active customers with presence in Africa, Asia and Europe boosted by market launches in Albania and Ghana. It further announced it had a network of more than 261,000 agents in 11 M-Pesa countries. South Africa was one of the first markets after Kenya where the technology was to be replicated. Initial efforts failed to pay off which saw Vodacom, a subsidiary of Vodafone revamp and relaunch the service in 2014. The relaunch also involved partnership with major banks to allow users send, receive and withdraw money seamlessly. In March 2016, it was announced that Vodacom was considering its options with the service as it had failed to gain much traction. It had 1,000,000 registered users and only 76,000 active users, with the company considering shutting it down. Techweez has now learnt that Vodacom is set to terminate the service in South Africa from June 30th 2016. The decision was made owing to the service failing to attract a large number of users which made it unsustainable to continue operating. 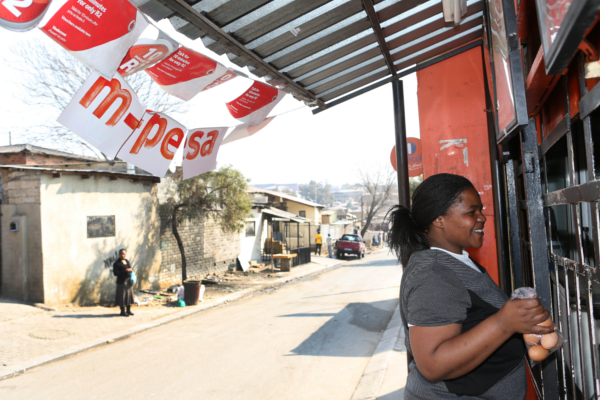 Vodacom says the high levels of financial inclusion in South Africa diminish the chances for M-Pesa success.